On August 28, troubled musician Aska plead guilty to charges of drug use and possession in the Tokyo District Court. The past three months have been rough for the 56-year-old member of the pop duo Chage and Aska, and, if Flash (Sept. 16) is to be believed, he is now raising the ire of organized crime. 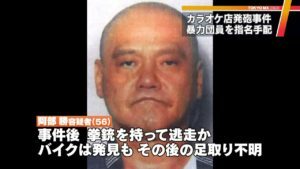 The gangster mentions two other celebrities, former actor Kentaro Shimizu and TV personality Masashi Tashiro, both of whom were arrested on drug-related charges most recently in 2010. “Until the very end, neither of them said a thing,” says the gangster. In the hearing, prosecutors said that Aska occasionally visited the Roppongi entertainment area to purchase drugs from an unnamed trader. On August 21, Tokyo Metropolitan Police announced the arrest of two suspects, including Takahiko Yasunari, 47, a member of the Daisho-kai, an affiliate gang of the Sumiyoshi-kai, for the alleged sale of 100 tablets of MDMA (also known as Ecstasy) to Asaka for 500,000 yen. The source quoted by Flash is not a member of the Daisho-kai but knows that Aska was a V.I.P. customer. 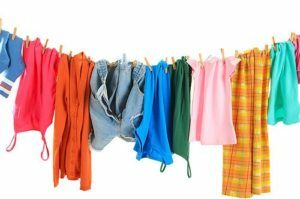 The source says that in general people do not disclose how they obtain their drugs. 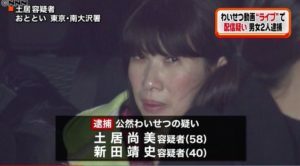 The problems for Aska date back to May 17, when officers first arrested the performer and 37-year-old acquaintance Kasumi Tochinai for possessing stimulant drugs at her apartment in Tokyo in April. Police served the singer with a fresh arrest warrant on May 27 for using stimulant drugs. During a search of his home, officers found 90 MDMA pills. On July 22, the trial for Tochinai began at the Tokyo District Court. During the proceedings, she denied the charges against her. Flash’s source says that Aska is far from the lone entertainer now using drugs. “A model-turned-actress, the president of a big-name talent agency, the leader of a male idol group — the list is endless,” says the gangster. For now, the Aska case has decimated drug revenue for the yakuza.